Qapital is a microsavings app that helps users save money with ease. The app centers on passive saving, which saves incrementally through daily activities. When users complete actions such as liking social media posts or spending less money, it uses these triggers to automatically deposit money into users’ saving accounts. You’ll save toward your financial goals. This app is one of the few to join the popularizing field of microsavings. Microsavings is just as it sounds – saving money or pocket change in small increments. This change eventually adds up, making it a good option for short-term saving goals. Savings becomes less about penny pinching and more about management and oversight. This helps you get into the habit of saving. Pricing: How Much Does Qapital Cost? Qapital is accessible to anyone with a smartphone. There’s no management fee or minimum balance to start. After setting up savings goals, you can start saving almost immediately. Qapital offers different savings rules to bolster passive saving. Once you get started with the app, there are no fees, either. There are no transfer, penalty, account closing or insufficient funds fees. In fact, there is overdraft protection to prevent any overdraft fees in your checking account. If the account runs under $100, funds will automatically stop being withdrawn into the Qapital account. The transaction continues only if the balance can cover the deposit and maintain a $100 base minimum. The company also offers a referral bonus. When someone opens an account with your unique referral link, you will both receive a bonus. You’re both rewarded with $5 after the initial savings deposits are made. This can help jumpstart your savings, even in a small way. Qapital’s mission is to create a user-friendly banking app that helps consumers save money. It wants to eliminate the penny-pinching attitude that is sometimes associated with saving. Its goal-oriented approach is based on practicality, ease and passive saving. Through unique rules triggered by your daily actions, you’ll save in small increments. The longer you save, the bigger the returns. The app allows you to set up multiple savings goals, whether it’s a dream vacation or a new car. You can share these goals with others to encourage you to stay on the track. You can also set up joint goals, where you and others can save toward one particular goal. Deposits into your account are triggered by different savings rules. One of the most popular rules is the Roundup Rule. When you make a purchase, Qapital will roundup the change and deposit the extra cents into your account. Savings is made easy. Your daily actions help you save little by little, eventually adding up to reach your goal. You’re able to contribute to a savings fund with limited effort on your end. Qapital stands out with its different savings rules. There are over five rules that help you with passive saving. This includes the Roundup Rule and the Set & Forget Rule, which automatically deposits a set amount from your checking account into your account. Another tactic it uses is the If This, Then This (IFTTT) savings rule. This rule allows you to link Qapital to almost any activity to help you save. For example, you can trigger a savings deposit for every time you go to the gym or like something on a social media app. The options are endless. It makes savings easy with any task that you choose. With no fees, this is a good starting point for anyone who wants to starting saving. Though only accessible through the mobile app, the interface is clean and easy to navigate. The $5 referral bonus encourages you and your family or friends to get into the habit of saving. Qapital also has a goal-oriented approach to savings. Unlike competitors like Digit, the app allows you to save toward multiple goals, rather than just one. The different rules help you save smart and the app tracks how much is saved toward each goal. Because Qapital doesn’t have an investment option, it’s tailored for more short-term goals. When money is deposited into an account, there is no interest earned or returns made – it just accumulates based on the deposits. This makes the service more useful for smaller, short-term goals. If you’re trying to save money for a house, this likely isn't the fastest or most efficient way to save. Many Qapital rules are based off your spending habits. For example, the Roundup Rule is only useful if you make purchases with your card. Qapital tracks these transactions to calculate the change accumulated. If you use your card often, this accelerates your savings. However, spending rules aren’t the only option. With the numerous other savings rules, there is a rule that works for everyone. The company prides itself on practicality and ease of use. Since it’s a mobile app, it’s available at your fingertips. And with no fees, it’s a useful start for anyone who wants to start saving. You create an account through the app. The funding source must be a checking account. If you’re using a prepaid card, only one with a routing and account number will work. When rules are triggered, money is withdrawn from these accounts. Funding sources cannot be a savings or credit card account. You can connect certain credit cards to the account to help track your spending. Purchases made with these cards will trigger savings rules. But the money is still only withdrawn from the checking account that acts as the funding source. Once the account is created and authorized, you can set up your savings goals and rules. Every time a savings rule is triggered, money is automatically transferred into your account. This automatic, hands-off approach to saving eventually helps you reach your goals. Guilty Pleasure Rule: This rule causes a set amount of money to be deposited if you give into your guilty pleasure. This curbs your habits, while helping you save. Spend Less Rule: This rule challenges yourself to spend under a certain amount at a specific place. You set a cap for the amount you want to spend on particular store. The goal is to spend less than that amount. If you succeed, the remaining difference is sent to your savings. Roundup Rule: This is the most popular rule. With every purchase made, your change is rounded up to the nearest even multiple and deposited into your account. If you spend $2.75, it’s rounded up to $4, so $1.25 is saved. These small increments add up quickly. Set & Forget Rule: This is similar to automatic bank transfers. Every day, week or month, a set amount is automatically transferred to your account. If This, Then This (IFTTT) Savings Rule: This feature allows you to save with nearly any activity. An automatic savings deposit can be set up for every time you go to the gym or do the laundry. You can also connect different apps to Qapital to trigger savings. If you link Qapital to a social media app, you can save every time you like something. With all these different rules, money is transferred from your bank account to your account frequently. These transfers occur four times a week, Monday through Thursday, at no charge. Once you hit a goal and are ready to withdraw from your account, there is also no transfer fee. This makes saving easy. You’re saving without even thinking about it. You can share goals with others to help you stay on track and cheer others on. Through saving frequently in small increments, your goals will eventually be met. This is exclusively a savings app, meaning your account only builds up through the depositing of your own funds. Unlike other microsavings apps, there are no earnings made through interest and investments. This makes Qapital more suitable for short-term savings goals. In addition, you can only access Qapital through your phone. There’s no web access, which isn’t the most convenient. It also doesn’t have a contact number. You can contact the company through email or the in-app chat, but there’s less of a personal touch. Customer service is only available on the weekdays. This isn’t the only microsavings app out there – its competitors offer similar services, and sometimes more. Digit is a similar savings app. The monthly fee is $2.99, but there’s also a free trial version. Digit moves away from the goal-oriented model of Qapital, since you can only save toward one goal at a time. And instead of setting up saving rules, Digit controls how much you save. Its saving algorithm analyzes your income, previous purchases and checking account daily. Based on these factors, it transfers money based on how much it think you can afford to save. Digit also offers a 1% annual savings bonus. This approach is more hands-off than Qapital. But with the move away from a goal-oriented model and rule-based strategy, you have less control over exactly how much money is saved. There is also a usage fee, though there’s no minimum balance. Another popular app is Acorns. Acorns’ primary method of saving is similar to Qapital’s Roundup Rule – your savings account is built up through spare change. But there is also an investment option. Acorns has different investments portfolios in assets like stocks, bonds and real estate. Your spare change is invested into these different assets. Though Acorns has a service that Qapital lacks, there is a usage fee. Acorns also has high annual fees, which means your returns won’t be as high. These three apps offer similar savings services, but with different features. Qapital is the most accessible. It’s free and has no minimum balance. It’s a good way to begin saving toward multiple short-term goals, without the focus on every single cent spent. The other two services come at steeper rates, but allow you to earn returns from your savings. Digit is $2.99 per month, but has a savings bonus, regardless of your account balance. It’s not very high, but will still help with short-term goals. Acorns combines the savings and investing worlds, but with more risk involved. You need a minimum of $5 to begin investing. The usage fee is $1 per month if you have an account balance under $5,000. If you’re above that, the rate becomes 0.25%. These fees are higher than investing-only apps. But if you’re a college student under 24 years old, you can use Acorns for free. Bottom Line: Should You Use Qapital? Qapital is a user-friendly savings app that helps you save toward your goals. With a clean interface and no usage fee, saving is made easy. Automatic saving deposits are triggered by your daily activities, making it good for hands-off, passive saving. These small, but frequent, transfers eventually add up to reach your goals. Though no money is being earned, this is an ideal app for saving for short-term goals. Qapital is best-suited for people who are just starting to save money. If you’re looking for more comprehensive financial advice that helps you combine all of your accounts into one plan, you may want to talk to a more traditional financial planner. A financial planner will look at your individual situation and make sure all of your financial decisions work for you. 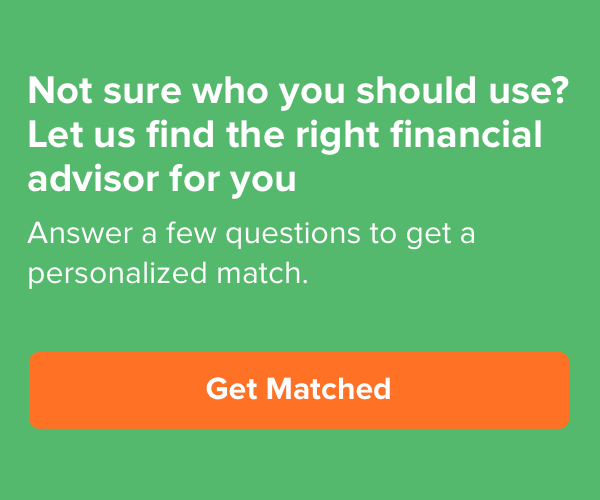 You can find a planner near you through a matching tool like SmartAdvisor. Many people invest because they want to save money for retirement. Saving for retirement is important because most Americans haven’t saved enough by the time they retire. To help you understand where you stand and what you need to do, start by using this free retirement calculator.